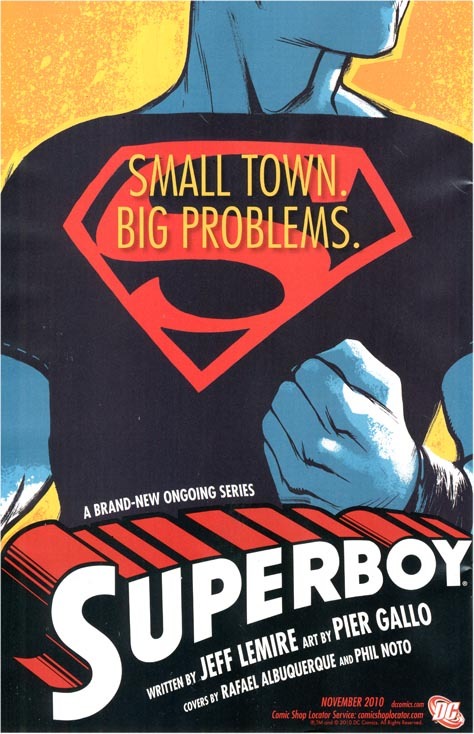 SUPERBOY Nominated For An Eisner as BEST NEW SERIES! Superboy has been nominated for a 2011 EISNER AWARD for Best New Series! Congrats to all my collaborators on the series, Pier Gallo, Jamie Grant, Rafael Albuquerque, Phil Noto, MArco Rudy, John J Hill, Eddy Barrows and Karl Kershl.